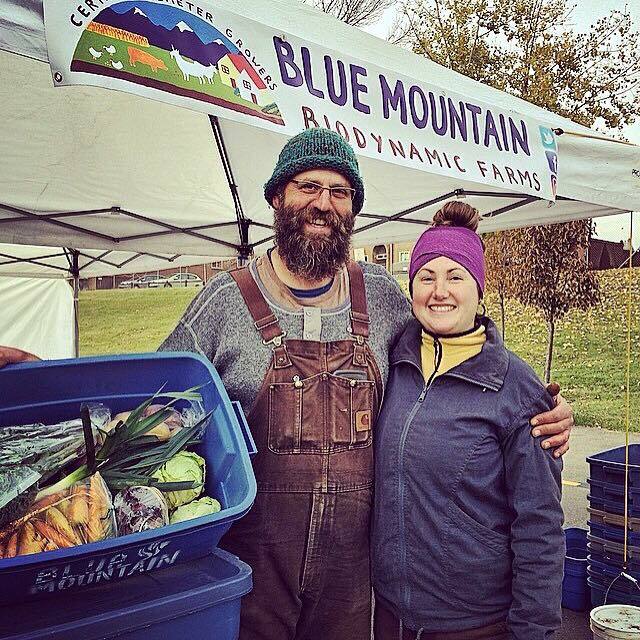 Is joining a Community Supported Agriculture (CSA) program Right for You? There are many benefits to joining a CSA program, both for the farmers operating the CSA and for the eaters who will be enjoying the fruits and vegetables of their labour, but CSAs are not a good fit for everyone. If you are interested in building a strong, mutually beneficial relationship with local producers committed to growing good, clean and fair food, our CSA is probably right for you. If you are passionate about local, fresh, organic food, grown sustainably and raised ethically, our CSA is probably right for you. If you are interested in supporting local agricultural producers, helping them get through the early part of the season when revenues are always in short supply and start-up costs for seasonal production must be paid out, then our CSA is probably right for you. If you are interested in sharing some risk with the farmers who produce your food by acknowledging the risk inherent to food production, especially in our changing and unpredictable climate, and you understand that the precise amount and value of the food you will receive is governed to some extent by the weather, and that no refunds will be given if catastrophic crop losses occur, then our CSA is probably right for you. If you support the idea of farmers earning more for their products than wholesale markets would provide, and like the idea of paying less than retail for local, organic produce, then our CSA is probably right for you. If you want to support farmers who are committed to reducing food waste and the use of plastic packaging, and who welcome your input in terms of what they grow, how they grow it and how they bring food into the marketplace, our CSA is probably right for you. If all of the above applies, then our Community Supported Agriculture program is definitely right for you! 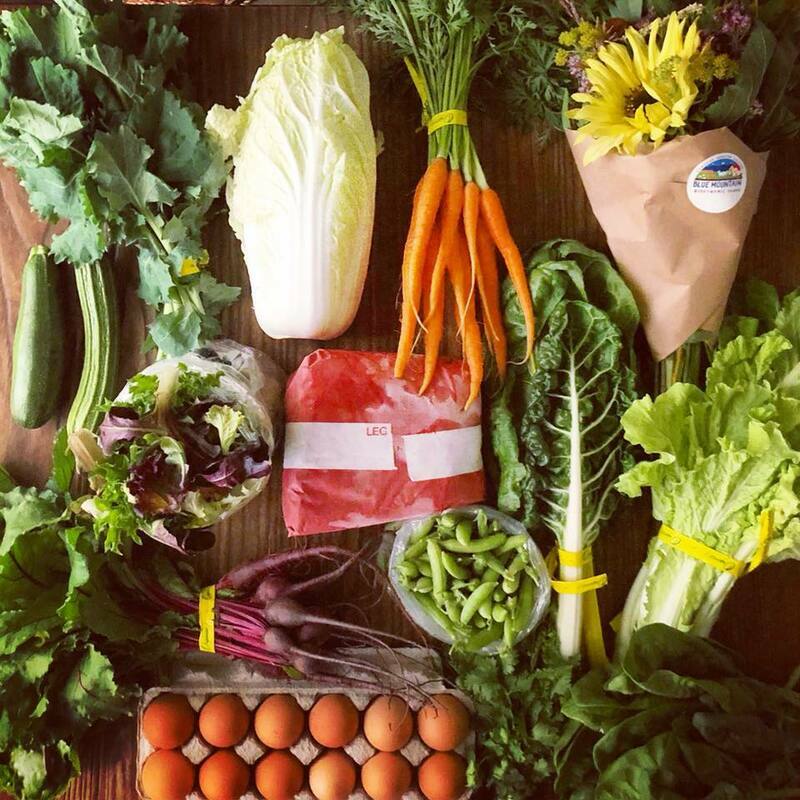 You eat out often and rarely cook vegetables at home, our CSA is probably not right for you. You are away from home for a large portion of our CSA season (July-October), our CSA is probably not right for you. If you are still interested in supporting our farm, consider the option of buying our products at the Farmers & Makers Market at cSPACE, buying our products at our retail partners, Sunnyside Natural Market and Bite Grocery, or ordering our Farmer’s Surprise Box through SPUD Calgary. • Choose your pick up location: either HSCA on Thursday's OR Farmers & Makers Market @cSPACE on Saturday's. This will be your pick up location for the duration of the CSA. • If for some reason you can not pick up on your selected day, with enough advance notice (Monday by noon), you can temporarily switch your pick up day. For example if you selected Saturday as your pick up day and will be away, you can switch to a Thursday pick up instead. • Have a friend, neighbour or family member pick up on your behalf. What to do if you are away for a week or more but still want to join our CSA? • Share your weekly CSA share with a friend, neighbour or family member and alternate pick up weeks. • Sign up for bi-weekly share(s) and pick up every 2nd week giving you the ability to go away and not miss a pick up. 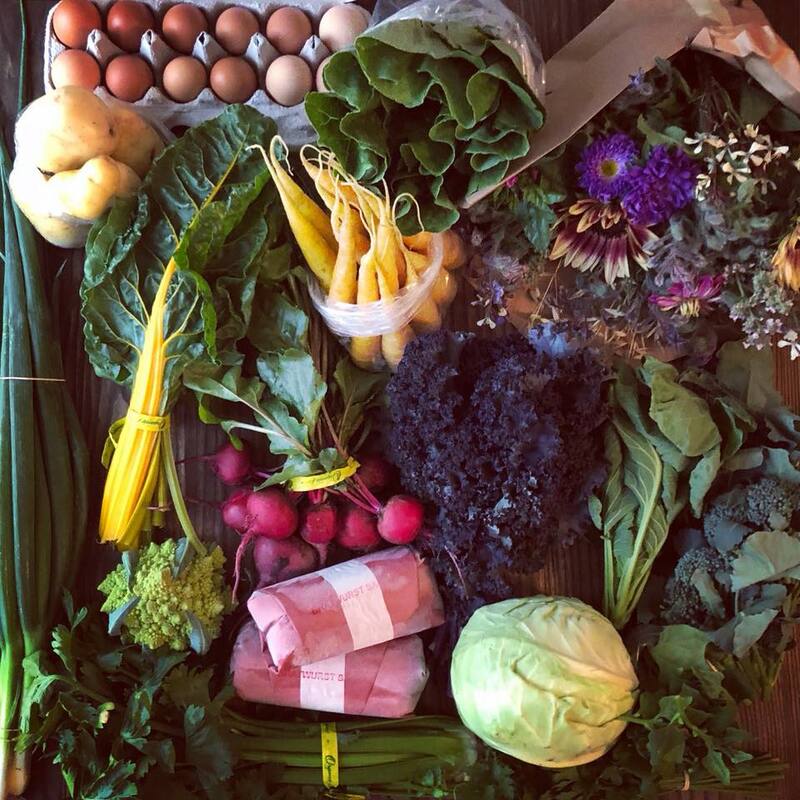 • Order the Farmer's Surprise Box on the weeks you want and skip the weeks when you are out of town or still have produce to get through. *Please note that Add-On shares are not available through SPUD. ​​• Come on down to the Farmers & Makers Market @cSPACE every Saturday from 10 am - 3 pm and purchase exactly what you want from us!